A dramatic antiqued effect gives the Jag area rug a romantic sense of history and mystery. Ever-so-subtle botanical pattern is a natural complement. 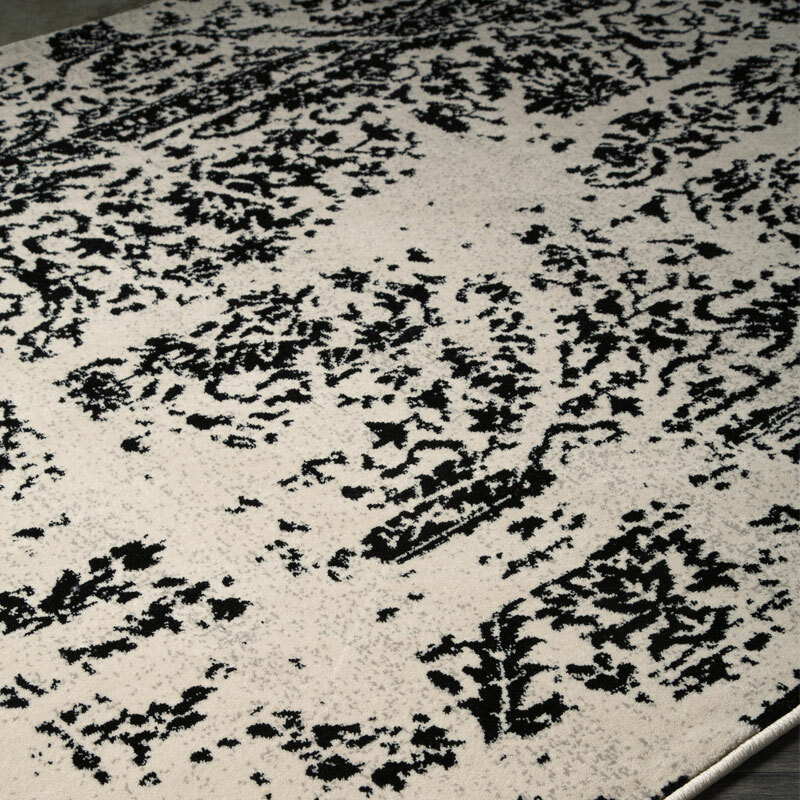 Sumptuously soft, the rug's classic black and white pile is sure to please.